There are many designers who find that a good proportion of their holiday snaps documents the graphical details of their holiday destinations rather than friends and family. Examples of lettering, signing and other information systems, all of which inform a sense of place, are randomly recorded in this way. We are no different. Our brief to follow in the footsteps of the lettering historian, Nicolete Gray, and document the graphic character of the city of Lisbon was, therefore, not only something of a designer’s dream but an opportunity to develop already well practised photographic instincts. These instincts are nothing new. Designers have been recording the graphic environments of their city travels since the late 1950s. Robert Brownjohn, Tony Palladino and other colleagues from their New York-based design partnership were among the first who literally looked outwards in their search for inspiration, recording the vernacular details of out-of-town locations that they could later apply in jobs. Here in Britain, Herbert Spencer was following his own instincts to explore photographically (among other things) the graphic detritus of streetscape and the chance juxtapositions and creative possibilities suggested. This transatlantic vogue for the vernacular is perhaps most richly drawn together in the pages of Spencer’s Typographica magazine. Experiments with visual narrative are played out across a series of photographic essays, one of the most striking being Brownjohn’s ‘Street level’, based on a single trip to London. Fior’s interest in Gray’s recording of letters in the city was fuelled by conservation concerns back home. Lisbon was capital of what had, under the authoritarian rule of Salazar, been a closed society for four decades. Following the Revolution in 1974, a depressed economy resulted in minimal change well into the 1980s, when the once-quiet city braced itself for the advent of consumer society. The capital had long been safeguarded from the homogenised visual uniform that characterises so many of our city centres, but change was in the air. This was a good time to draw attention to the value of the visual environment of the city and the part that lettering played in it before everything was lost. Fior found some 70 photographs, not all of great merit as photographs in themselves, but all useful records of some of the rich variety of lettering and sign-making techniques to be found back in Gray’s day. Some of the subjects were familiar to him and some were still in existence. However, many were unknown, with a lack of locational information on the reverse. Fior’s agenda was to concentrate on the Nicolete Gray subject matter, and the arrangement was that all ﬁlms would be duplicated so that both the CLR and Lisbon’s Museu da Cidade would each have a set of the images. Prior to this project we had only taken pictures for ourselves. Partly because we don’t like being told what to do, and partly because we felt that if this was to be the beginning of an archive in the city museum, the brief was a bit limiting, we decided that we should cast the net much further. In addition to survivals from the past, we felt it essential to record the present, the graphic design interventions of signing and public transport, and the many unnoticed incidental uses of lettering in public places. Our planned time in Lisbon was short. Even the walk from the station to our hotel conﬁrmed, however, that the city was full of wonderful examples of lettering, and that there was plenty to record in the time we had. The ﬁrst morning we met with everyone involved for a bilingual brieﬁng. We gave the students a ﬁlm each and asked them to work in pairs. The Central Saint Martins students had a predisposition to the subject area and the ar·co students knew the city itself. We gave each pair a speciﬁc mission – trams, elevators, metro, rail-ways, road signs, street names, grafﬁti, stopcocks, manholes and other street ironworks – in order to focus their attention and to avoid duplication. Meanwhile, we were to visit and photograph the sites Nicolete Gray had recorded – whether the lettering had survived or not. Of the 77 CLR images, Fior had identiﬁed 58 locations, most with both a street name and number. For some locations, we were looking for signs he knew had survived; for others, we were to record their removal or change of appearance. We used the list as a framework for exploring the city, noting locations in close proximity to each other and plotting routes between them. For some locations we only had a street name and our photocopy of Gray’s original image. These locations were only found by looking carefully at architectural features such as balconies, rooﬂines, window mouldings, and on one occasion, nothing more than holes in walls. one thing, she was a few inches shorter than us! In some ways, having Gray’s photographs was a mixed blessing. It was a joy to see many places and signs surviving and looking good, but there were also examples of buildings losing much of their character by having lettering altered or removed entirely. The ﬁre of 1988 in the Chiado district was a particular source of devastation. Between Gray’s locations we were able to explore the adjacent streets and photographed everything we saw of interest. The areas she had photographed in the 1960s were, in the main, shopping districts, those closest to her hotel (the Avenida Palace), or en route to galleries. Gray’s husband Basil, was keeper of Oriental Antiquities, and later acting director of the British Museum, and his curatorial work often took him abroad. Gray and her camera took full advantage of that fact, and we assume Basil’s visits to the Gulbenkian Foundation were the reason for at least some of the Lisbon trips. A basic sense of propriety would also have curtailed the range of her lettering models. It would not have been considered proper for her to wander into some areas of the city alone. Free to do as we pleased, our journeys started in the central districts of the Chiado, the Baixa and Rossio, and worked outwards as our curiosity led us and time allowed. The overriding impression was one of a city where old and new co-exist; and somewhere full of old survivals, without feeling old-fashioned. After only four-and-a-half days in the city we knew the answer to a question we had asked ourselves earlier: ‘Why didn’t Gray photograph this, and this, and this?’ There was simply too much. A positive meeting between ourselves, Robin Fior and the curators of the Museu da Cidade during our ﬁrst trip, together with shared hopes for an exhibition of our images in Lisbon, enabled us to obtain a small research grant from Central Saint Martins, leading to a return trip in May 2004. Equipped with updated information we continued our search for a number of Gray’s locations; to reshoot a small number of buildings again in better light; to explore some other areas; and to meet with staff at the Museu. Fortunately there was only one signiﬁcant lettering change for the worse: a shop had changed hands and the ﬁne reverse-painted and mirrored fascia had gone. Happily we had recorded it the previous year. On this visit we were able to explore Lisbon’s oldest district, Alfama, which we found to be rich in painted street names; and nearer the river’s edge we found sans serif traces of an industrial past. Industry was also the main interest when we explored Bica, sandwiched between the Bairro Alto and the railway. We had passed through Alcântara en route to and from Belem the year before, but stopped this time in the middle of the main route south-west from the city centre, to photograph two factories, each named by huge pieces of tiled lettering. As often happens, we noticed something else in the distance across the dual carriageways. It looked worth a detour and turned out to be one of the highlights of the visit: a set of dilapidated government buildings. The ﬁnest was the Comissão Reguladoro do Comercio de Bacalhau, a fabulous example of 1940s bombastic architecture, which featured condensed serif letters that had obviously been conceived as an integral part of the architecture. kinds, and styles of lettering unique to Portugal and Lisbon. This set cannot pretend to be comprehensive, but it contains a wide range of examples of lettering from around the city. While there are good reasons for preserving some of these things in situ, and equally good reasons for the Museu da Cidade to be collecting examples threatened with destruction, we hope that this modest collection will provide a third way of recording the city’s lettering for future generations to enjoy. 1 Katy Homans, ‘bj’ in Eye no. 4 vol. 1, 1991, pp.52-63. 2 Robert Brownjohn, ‘Street level’, Typographica, new series, no. 4, December 1961, Lund Humphries, pp.30-60; see also Rick Poynor, Typographica. London: Laurence King, 2001. 3 Especially influential have been Alan Bartram’s, Lettering in Architecture, Lund Humphries 1975, and later Nicolete Gray’s seminal Lettering on Buildings, Architectural Press 1960. See also James Mosley, ‘English vernacular’ in Motif no. 11, Shenval Press, pp.3-55; ‘Trajan revived’ in Alphabet, Moran, 1964, pp.13-42; and ‘The Nymph and the Grot’ in Typographica, new series, no. 12, Lund Humphries, 1965, pp.2-19. 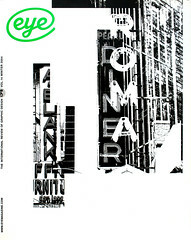 4 Rick Poynor, Typographica, London: Laurence King, 2001, p.71. 5 See especially the jubilee edition of Nikolaus Pevsner’s History of European Architecture, Penguin, 1966; Basil Spence and Henk Snoek, Out of the Ashes, Geoffrey Bles 1963; Eric de Maré, Bridges of Britain, Batsford revised edition, 1975. 7 See Richard Hollis, ‘Robin Fior: Design in search of a revolutionary language’ in Eye no. 32, vol. 8, 1999, pp.66-75. Almeida, Maria João Alves, Paulo Henriques.